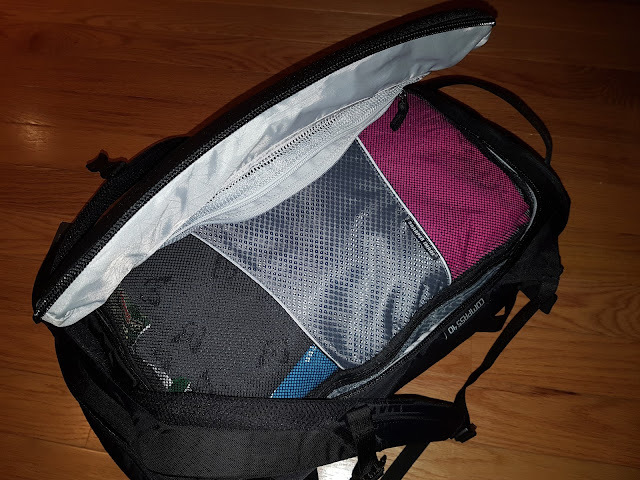 Momma with a Map: Packing- I did it! 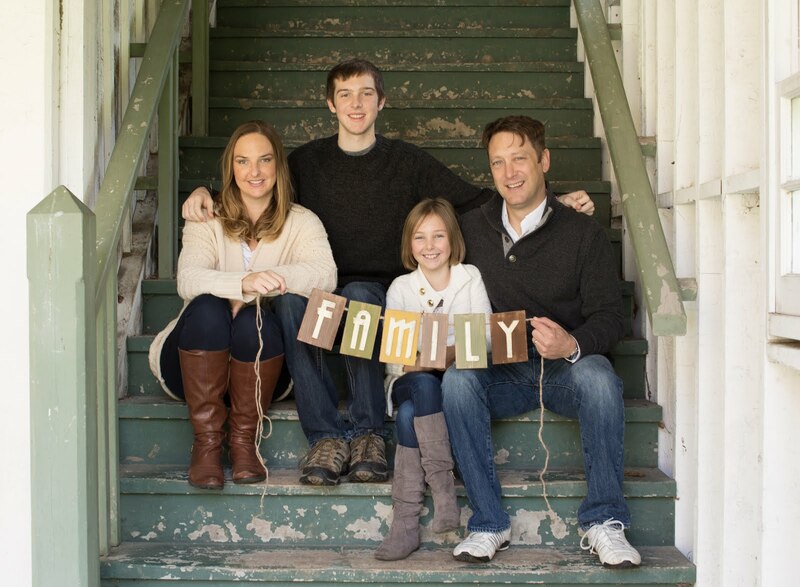 In an aviation family, you get to understand how valuable efficient packing can be. See, whenever we fly we're always on "standby". We sit at the gate waiting for our name to be called to see whether we've got a seat on the plane or not (totally stressful!). It's often last minute. If we check bags, we run the risk of our bag not making it on the plane in time. Therefore we often pack carry-on only. A 40 litre bag is typically the maximum size for carry on. I shopped around and compared reviews of the few bags on the market. I ordered a couple from MEC to try out and decided on one and returned the others. I decided on the Gregory Compass 40 Travel Pack- Unisex. The features that sold me on it was the rear access which allows the bag to open like a suitcase. This is ideal as I've used much larger backpacks before with top access and it's an endless tube of trying to fill and find things. This bag also has a special protected zipper area in the back to fit my laptop, which is great! Were these even invented last time I backpacked!? 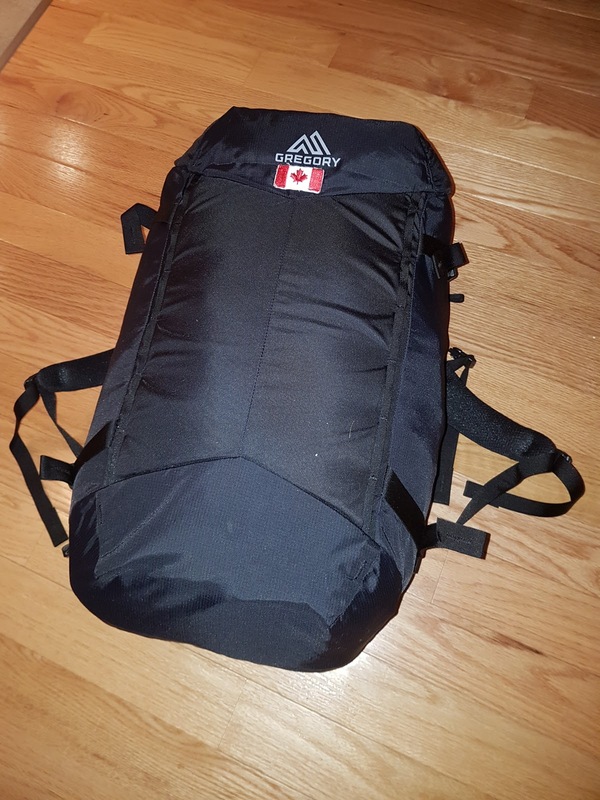 I had heard of the benefits of packing cubes and kept my eyes open for deals. I found sets of them from Winners which were significantly cheaper than at any travel speciality store. The packing cubes allow me to compartmentalize our items and creates a game of Tetris when packing your bag! 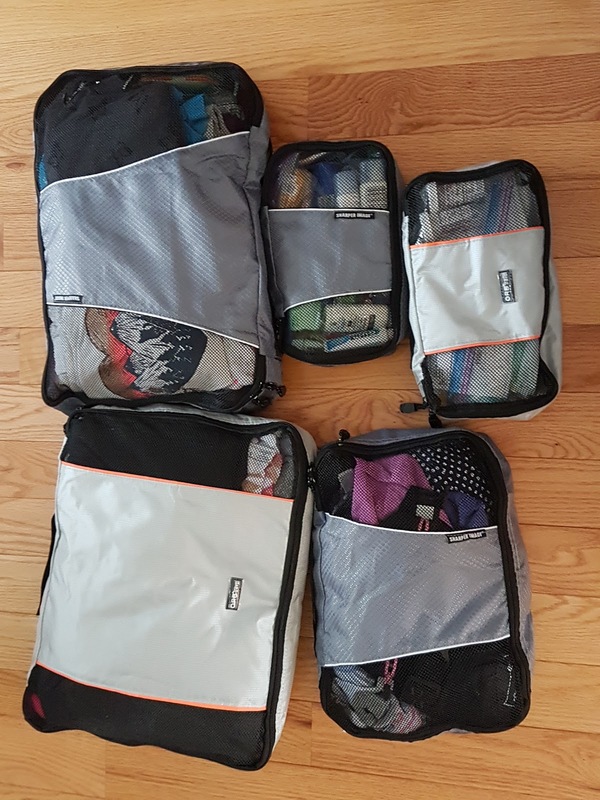 I had one large cube for my clothes and one for my daughter, then a medium sized one that carries our unmentionables along with bathing suits and our compact rain gear. I have two small ones holding toiletries and items like suntan lotion and bug spray. I started organizing clothes and items I wanted to pack weeks in advance, once I had everything laid out, I started to eliminate things that I didn't necessarily need. Sometimes it was hard as I have some pretty cute dresses that would look great in Bali, but are just way too much material and would take up too much space! I also kept in mind that I have laundry packets to wash clothes in the sink when needed and most other places we'll have access to laundry in our home exchanges, therefore having multiples of things isn't a priority. Because I started planning early, I was able do some shopping from discount sales racks (see my post in Travel Tips), so I specifically looked for items that were not bulky. The idea was also to be able to dress in layers since I'll be hitting up various climate zones! Merino wool products are great, and I found shopping at the IceBreaker outlet you can find sample items on their sales rack at deep discounts. Clothes are thin, but can be warm and breathable. 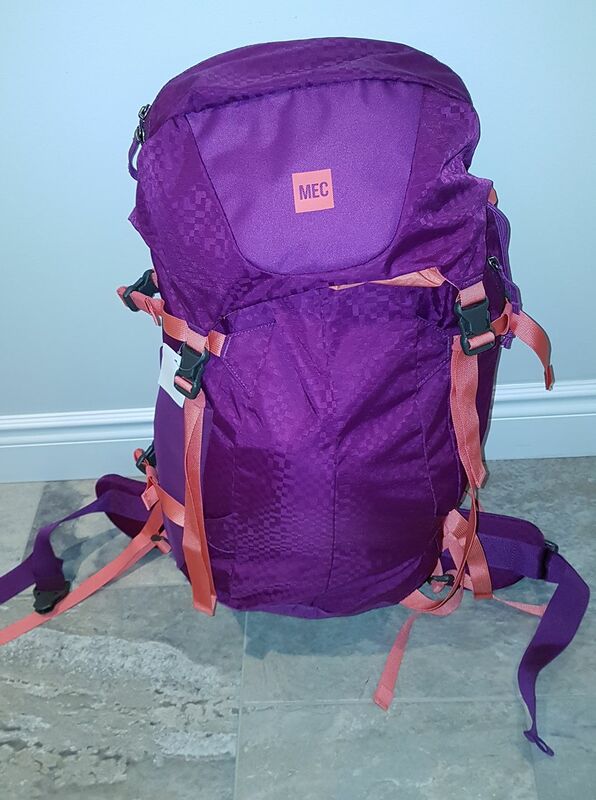 My daughter is old enough to carry her own backpack now, therefore we were able to fit her with the MEC Escapade Backpack- Youth. This is 37 litres and has great back support. We'll use her bag to carry the most bulky items; our shoes, including walking shoes and water shoes, along with our sun hats, spare change of clothes, her school books and iPad. I will also have a small daypack with me that will have my travel documents and cameras, book to read and snacks.